Over the next few years, 90 percent of Microsoft's Research and Development (R&D) budget will involve cloud computing, up from about 70 percent today, according to Cindy Bates (pictured), Microsoft's VP of US Small and Medium Business & Distribution. 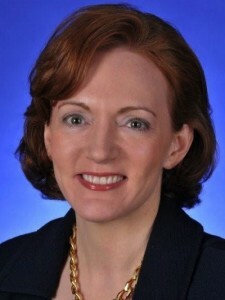 Over the next few years, 90 percent of Microsoft’s Research and Development (R&D) budget will involve cloud computing, up from about 70 percent today, according to Cindy Bates (pictured), Microsoft’s VP of US Small and Medium Business & Distribution. Bates made that stunning statement today during the SMB Nation conference in Las Vegas. But that’s not all she said. Bates also covered Microsoft’s Office 365 cloud computing strategy. Here are seven key highlights from Bates’ keynote. 1. SMB Flexibility: Microsoft’s strategy is to deliver anytime, anyplace, any screen productivity to SMB channel partners and their customers. That strategy includes building close links between Windows Phone 7 and Microsoft’s cloud applications. 2. Windows Phone 7: Bates previewed a Windows Phone 7 commercial, and she asserted. “It will be the best business phone out there.” Hmmm… The VAR Guy will be watching to see if Microsoft meets that lofty goal. 4. Big Bucks: Microsoft spends 70% of its $9.5 billion in R&D on the cloud and that’s moving to 90 percent, Bates stated. “We’re dedicated to taking all of our products and innovating on the cloud,” she added. 5. Cloud Apps: When Bates asked how many attendees sell BPOS (Business Productivity Online Suite), roughly 20 percent to 30 percent of the room raised their hands. Microsoft earlier this week announced plans for Office 365, a BPOS successor that’s slated for launch in 2011. 6. CRM Meets the Cloud: Microsoft aggressively pitched Microsoft CRM Online. Bates says CRM is Microsoft’s fastest-growing business application. Microsoft previewed some forthcoming CRM Online 2011 enhancements, including integration with Windows Phone 7. The unspoken message: Microsoft will link its CRM cloud strategy the Windows Phone 7 mobile launch in a bid to compete more aggressively against Salesforce.com and NetSuite. 7. Office 365: “It’s a new brand and the culmination of everything Microsoft has learned since the 1989 launch of Office. Office 365 will launch in Spring 2011, Bates predicted. “It will be the cloud on your terms.” Bates described Office 365’s three plans (Plan P1, Plan E and Plan K). More details on that later today. Business consulting and application development — “There will be a much more robust opportunity for managed services. Bates clearly communicate the opportunities, but the Office 365 strategy triggered some fear, uncertainty and doubt among MSPs attending the N-able Partner Summit in Scottsdale, Ariz., earlier this week. Gretchen O’Hara, Microsoft’s cloud channel chief, took the time at the N-able event to answer attendee questions. Can Partners Really Profit From Office 365? That’s the big question. The VAR Guy will be stopping by Microsoft’s booth here at SMB Nation to get more perspectives from attendees and Microsoft. “It will be the best business phone out there.” lt;-whoa, lofty words Bates. This is an accurate report of Cindy’s speech today. thank you. I noticed the conversation is much more positive this year with the channel partners than int he past. Or shall I say “BPOSitive” even though the branding is changing to Office 365. Now people can manage their company website from their phone securely, and Public Cloud Providers can be assessable through the phone carriers to lighten the load off the portals intended for downloads and cluster connections. BPOS meets Remote Open Portal / Secure Data Transfer Protocols (ROP SDTP). This is indicative of shareware and update service and Enterprise Access Portals sharing the same combined Open Cloud Network. The Melissa@1: Yup, lofty indeed. Harry Brelsford@2: The VAR Guy thanks you for opening the SMB Nation door. Our resident blogger enjoyed the conference. chrisRobert@3: Sounds like you’re upbeat about Microsoft’s moves. True? Yeah, that’s true man. I see this cloud movement with the new Windows 7 on the phones as a new hot idea spreading for those who are less technically literate but still quite tech savvy. It opens the door to a whole new type of support for SMBs, BPOS, EMC, VMC, and ERP – slong with a few extras throw-in the pot. Microsoft just upped their ante from 70% all-in on the cloud to 90% all-in on the cloud as far as their Ramp;D budget goes. This is a clear statement from Microsoft about where it is headed. Microsoft is also building out six (6) cloud data centers at roughly $1B a piece. And Mr. Ballmer’s message to Microsoft’s partners at their recent world partner summit was if you aren’t on board with Microsoft’s move to the cloud then maybe you should find some other company to partner with going forward. A bold direction and a bold statement to be sure but does Microsoft really have a choice to be a “cloud holdout” at this point in time? The answer is, no. Microsoft understands that premises-based software is an endangered species that will not maintain the company’s revenue stream in coming years, so they need to get very serious about replacing that revenue stream now. The tough decision for Microsoft’s partners is how they are going to be assimilated in Microsoft’s cloud because resistance will be futile. Have we completely abandond “Software as a Service”? @austin good question! I used to see SaaS as a superset of cloud since cloud was more at the infrastructure level, e.g. IaaS, PaaS and then SaaS and I then saw cloud = IaaS. But I reversed my view a few months ago and see cloud as something much bigger. But SaaS is still an important business model (I mean business not technical). You can have all the cloud in the world, and still not have a successful SaaS model. Re what is it, I don’t think it matters too much. Most of the definitions are way off, just too narrow and mostly technical and (yawn) who cares. Even the one offered by Microsoft in the article above (and great article I thought) is way to narrow and it’s self-serving. Cloud is a transformational shift in the way business deploys computing to create value and new business models. A lot of it is in the head. For example you can put as much lipstick on the old pig as you want by going “private cloud” and you still have an old pig and haven’t changed your thinking. What cloud is not, is business as usual, for the IT industry or business users. Walter: The VAR Guy sees things pretty simply… Cloud is the superset while SaaS, PaaS and IaaS are the subsets. The VAR Guy thanks you for your readership. One reason for getting into cloud is that cloud remain one of the few business venture where people can be innovative as well as profitable. Majority of the IT companies that are making noises are into cloud. Office 365 is very exciting. Part of being all-in with the cloud means the service is accessible anywhere, anytime, and from any device. Hopefully Microsoft will also include working with other devices beyond Windows Phone in their plans.